Here you can find nice books that we recommend or an informative article about the seafarer's situation in general. 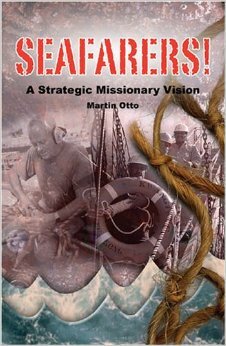 Description: Be inspired and catch God's vision for the seafarers of the world! Martin Otto is an eye-witness of how God is building his church amongst these easily forgotten, marginalized and often lonely economic nomads of the high seas. Through Christian friendship and hospitality, as well as letters and correspondence Bible studies, lives are being changed and many have been saved. Martin Otto inspired us to start a work among seafarers in the port of Bremerhaven. We know him and his family from our time in Hamburg, where he is a missionary in the port. Description: Have the extremities taken over and left the core of your faith forgotten? Do you get confused by what you feel versus what is real? Let pastor C. J. Mahaney strip away the nonessentials and bring you back to the simplest, most fundamental reason for your faith: Jesus Christ. Blending material from The Cross-Centered Life and Christ Our Mediator with new insights, Living the Cross Centered Life is packed with powerful truth to grip your heart, clear your mind, and invigorate your soul. Get ready to behold a breathtaking view of what God intends to accomplish in and through you every day. 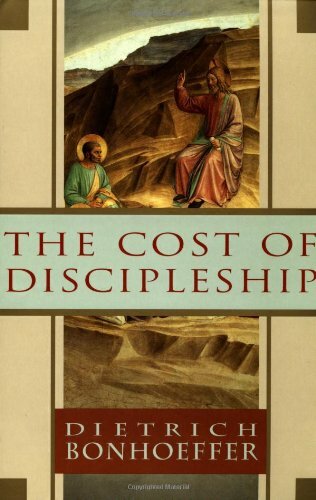 Description: The Cost of Discipleship compels the reader to face himself and God in any situation. Bonhoffer speaks of "Cheap Grace", grace from preaching of forgiveness without requiring repentance, baptism without church discipline, communion without confession. "Cheap Grace" is grace without discipleship. "Costly Grace" is the gospel which must be sought again and again, the gift which must be asked for, the door at which a man must knock. "It's costly because it costs a man his life, and it is grace because it gives a man the only true life." For all have sinned and fall short of the glory of God, being justified freely by His grace through the redemption that is in Christ Jesus, -whom God set forth as a propitiation by his blood, through faith, to demonstrate His righteousness, because in His forbearance God had passed over the sins that were previously committed, to demonstrate at the present time His righteousness, that He might be just and the justifier of the one who has faith in Jesus.